ZGemma H5.2TC (triple tuner). Supplied back to factory settings. 1 X As New 2TB DRX895-W Sky Plus HD Box. IF YOUR AREA IS REMOTE OR YOU THINK YOU MAY BE AFFECTED BY DELAYS YOU CAN CHECK ON INTERLINKS WEBSITE. WHAT'S IN THE BOX. Sky Wireless Mini WiFi Connector SC201. Condition is Used. Dispatched with Royal Mail 1st Class. In perfect working order. 1 x Zgemma H9S box. Support 4K- 2160p. DVB-S2X One Tuner. One DVB-S2X tuner built-in. Advanced EPG (Electronic Program Guide). Various OSD skins supported. Various Channel Editing Programs. One DVB-S2Xtunerbuilt-in. 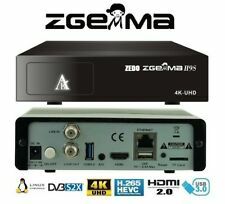 ZGEMMA i55 PLUS 4k IPTV Box Full HD 1080P,Dual Core Linux OS E2. 1 X ZGEMMA i55 PLUS 4K.  Support 4K- 2160p.  More than 4.10x linux kernel.  WIFI 300MHZ Built-in.  10/100 Mbit Ethernet Interface. we only provide hardware support. Sky DRX895W 2TB HD Digi Box. Condition is Used. Dispatched with Royal Mail 1st Class. Mint condition with power and hdmi leads. Package also includes the correct remote. 2Tb storage and WiFi built in All working as they should. 1 x ZGEMMA H5 Box. IT IS NEW VERSION OF H2H. but it is not H2H. - DVB-S2 Tuner DVB T2, DVBC. - Kernel 4.10.12. - Various Channel Editing Programs. - HDTV Receiver MHEG-2/4 H. 264. - Advanced EPG (Electronic Program Guide). Once aligned you will receive over 320 TV channels and over 100 radio stations, subject to location and reception conditions. 240v Mains adaptor. Portable dish with suction pad mounting and permanent mount. now tv box with remote control and adapter used good condition. Condition is Used. Dispatched with Royal Mail 2nd Class. 1 x OpenBox. Wifi build in. Support Ethernet, Output HDMI1.3. DVB-S2 1080P Full HD. 1 x UK Three Pin AC Adapter. 1 x HDMI Cable. Video output resolution: 480i/576i/480p/576p/720p/1080i/1080P. Fully comply with DVB-S/S2, MPEG-2/4 H.264 Standard. 1 x Zgemma H9.2H box. We only provide support on the hardware and free to air. We also do not provide any Support on any Third-party firmware. 2 x WIFI Antenna. 1 x User Manual. 1 x HDMI Cable. MPEG-2/ H.264andH.265HardwareDecoding. Vu Duo Linux TV Player HD Twin Tuner PVR 500GB HDD. Condition is Used. Dual boot setup. >>.IStar Korea 1 Year Code. Istar Korea Online Code 12 Months Su bscription. Works for ALL ISTAR Online Tv STREAMING. work with all Istar Korea Models. No Receiver It's Only One YearSubscription Code CARD. This HD BOX YOU WILL. 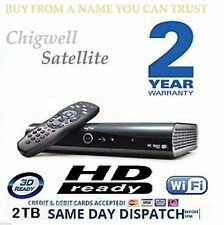 ALSO RECEIVE OVER 8 FREE HD CHANNELS;. BBC One HD. BBC News HD. CBeebies HD. Channel 4 HD. 102 BBC Two HD. 115 BBC 1 HD. SMART IPTV APP (SAMSUNG/LG). 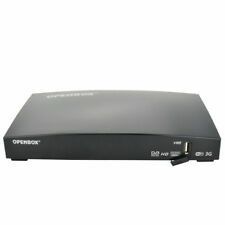 OPENBOX VX withWIFI, STBemu Pro, 12 months PREMIUM TV & VoD streaming & Free VPN. - SupportH.265, 4K 30pfs, HD 2.0;. - 1 x OPENBOX VXBox with 12 months STBemu Pro streams. Sky DRX890 Sky HD 500GB Set-Top Box. Condition is Used. Dispatched with Royal Mail 1st Class. Support WEB TV. Upgrade software through USB2.0 port;. Fully compliant MPEG-4 H.264/AVC Main Profile Level 3 & High Profile Level 4.1;. High light LED Display. Screen format:auto, 4:3, and 16:9;. Analog audio output: stereo(L R);. 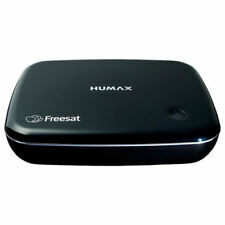 Manhattan Freesat Plaza HD S2 Box - Black, with remote. Condition is Used. Dispatched with eBay delivery – Shutl 2-3 days. Used Humax HDR-1000S 1TB Satellite Receiver, Recorder with Netflix & Catch up TV. Works exactly as it should. I've cleared all the recordings and it's ready to go. There are a few age related marks on the top, hopefully I've got them in the pictures. They don't affect how it works. Comes with remote control and power. Instructions are available online. NOTE:THIS IS THE LATEST VERSION V9S PLUS. 1 x V9S PLUS Unit. DVB-S2 1080P Full HD. 100% Tetsed ✔2 UK WarraY ✔ Plug N Play ✔. Video output resolution: 480i/576i/480p/576p/720p/1080i/1080P. Power Consumption?Max 25W. 1 x OpenBox. DVB-S2 1080P Full HD. 1 x HDMI Cable. Video output resolution: 480i/576i/480p/576p/720p/1080i/1080P. does not help anyone. We assure you that we will try our best to satiate your needs and resolve issues. Used Humax Freesat FOXSAT-HDR. Works as it should. I've cleared all the recordings, so it's empty and ready to go. It comes with remote control and power cable only. Instructions are available online. Built-in WIFI V9S SUPPORT. Support WEB TV. Support Mars TV PRO, Mars TV. Support U disk repair do not boot software problems (no longer need to be repaired by RS232). - Blind,Auto and manual channel scan options;. Freesat HDR-1000S 500GB. All info from the Humax site about this model:-. ZGEMMA H.2S i55 ✔IPTV Box ✔Full HD 1080P ✔Dual Core ✔Linux OS. Condition is Used. Support 2 USB, USB PVR. does not help anyone. We assure you that we will try our best to satiate your needs and resolve issues. Since all are busy, in place of ?. to redress your grievances. We generally solicit your whole hearted support in this endeavour. Product Description ARM processor with 1500MHz Quad-core CPU Hi3798MV200 Main chips 256MB NAND Flash 1GB DDR3 Memory DVB-S2X tuner Built-in Supported officially by OpenATV,OpenPLI zgemma for more You can use a USB Hard Disk Drive (HDD) to record all your favourite channels, listen to your music and watch a slideshow of your photos. What’s more, you can record up to 2 channels (on the same transponder) whilst watching a file from your USB HDD. You can even watch the .avi and .mkv file formats. Make your TV screen more realistic, you can now watch channels in glorious High-Definition (HD), Full HD 1080p with Dolby Digital Plus to give you a superior audio experience. It’s also 3D ready**. It’s even Eco-friendly with 0.5W standby power consumption. HbbTV Enjoy interactive services on your own living room. The new Spiderbox 6000HD has arrived! Spiderbox 6000 HD features PVR Ready via USB - 1 Card Slot (Multicrypt)Spiderbox 6000HD Technical Details • 6000 TV / Radio Channels. • Record Channel, Watch Channel. Enjoy a huge number of channels, as well as on-demand services like BBC iPlayer and ITV Player. It's easy to hook the HB-1100S up to your TV with the included HDMI cable for HD quality picture transmission. Not only connects to freesat but also free to air so you get more channels. Free sat receiver box. As new and all boxed. Dvi cables. FOR OPENBOX V8s V9s V5S v9 v6. THIS IS THE BEST IPTV AROUND NO BUFFERING. 2Mbit minimum internet connection speed is required, 3.5Mbit for HD. All you need usb drive to download the file and instuction will be send how to play?. A Sky HD Box, With remote, Cables and Plug In Full working order. Regularly watching your soaps has become a tradition for most families. If you are not a fan and want more out of your box, a satellite decoder offers more content for your telly that suits your taste. What types of satellite decoders are available? Basic receivers: These decoder boxes comes with basic functionality of converting signals from the satellite into a format compatible with your telly. DVR receivers: This is satellite decoder with the ability to record your favourite programs at a specified time. It also contains a USB port where you can plug your USB flash drive or an external disk. 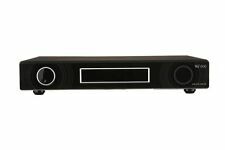 Android-powered receivers: This type is a more advanced satellite decoder box. Aside from converting signals into a format known by your telly, it also works in the same way as your cell or tablet running Google's Android operating system. What are the common features of a satellite decoder? Multiple channels: These boxes should be capable of supporting a wide range of channels, including adult live channels. DVR capable: The box features capability to record shows and to store episodes on a USB flash drive or an external hard drive. What is a satellite decoder? A satellite decoder enables any subscriber to enjoy a television with vivid picture and theatre-like sound programming without worrying about their location. 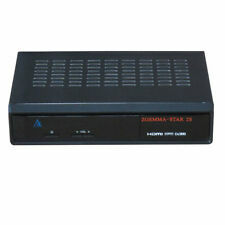 A decoder box works by receiving signals sent out by the satellite TV provider. It is responsible for processing this signal. When the subscriber is using an analogue tube, the satellite decoder converts the digital signal from the satellite and turns it into analogue for the telly.